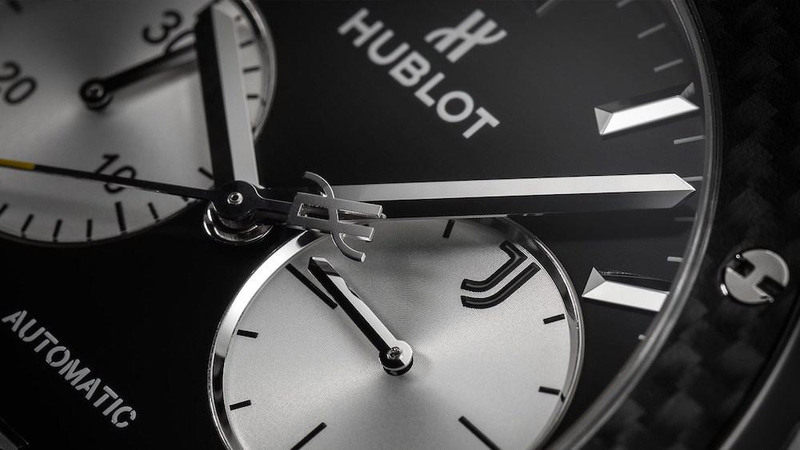 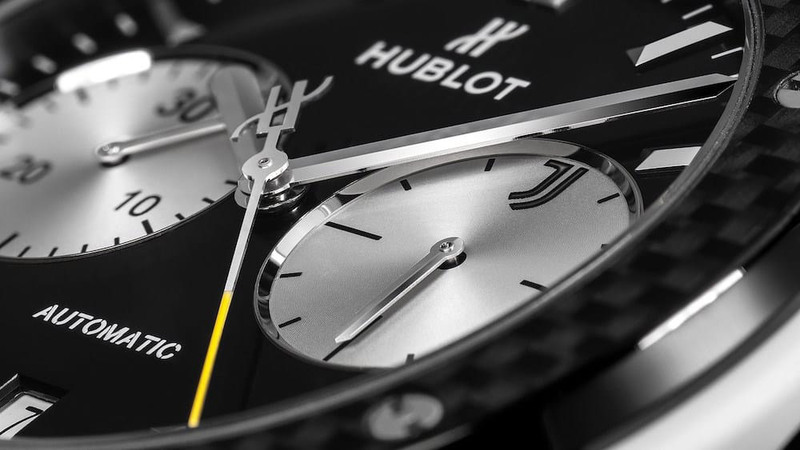 Hublot celebrates its partnership with the Old Lady of Italian football with the creation of a new limited edition Classic Fusion Chronograph Juventus, the third timepiece it has dedicated to one of the most prestigious teams in the world. 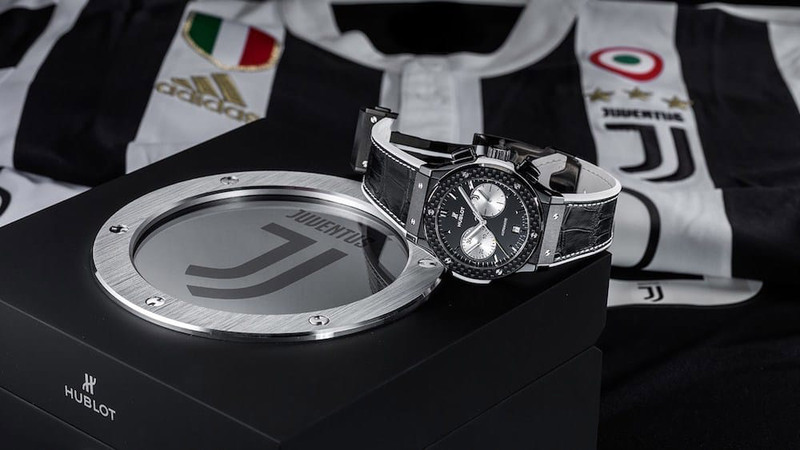 Proposed in a limited edition of 200 pieces, each of which sold with a kit complete with Juventus shirt autographed by one of the stars of the team, the new Classic Fusion Chronograph Juventus mounts the HUB1143 self-winding chronograph movement. 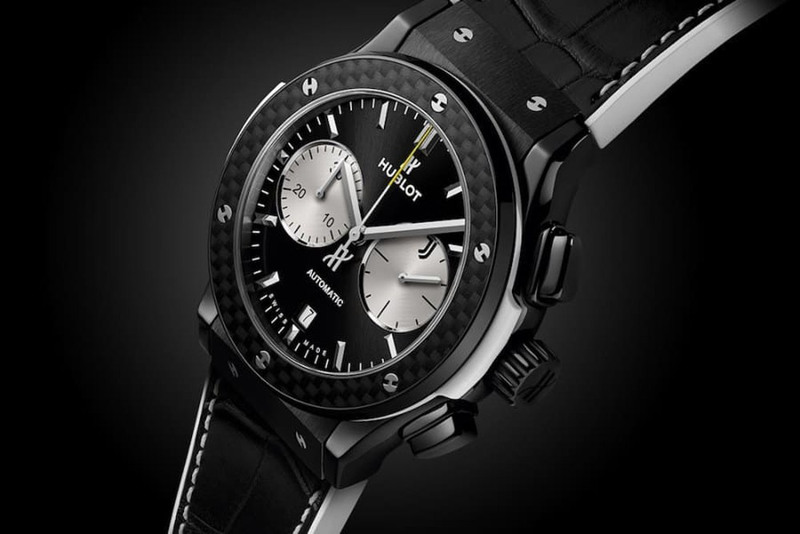 An at once sporty and elegant mood, enhanced by the polished satin black ceramic case and bezel with black ceramic base that houses the carbon fibre, marked by 6 titanium screws in the shape of an H.
Of course, there is no shortage of references to the world of Juventus: the symbol of the current holder of the Champions of Italy title – the 35th – is engraved on the back of the watch, but it is also clearly visible on the dial, and on the seconds counter set at 3 o’clock. 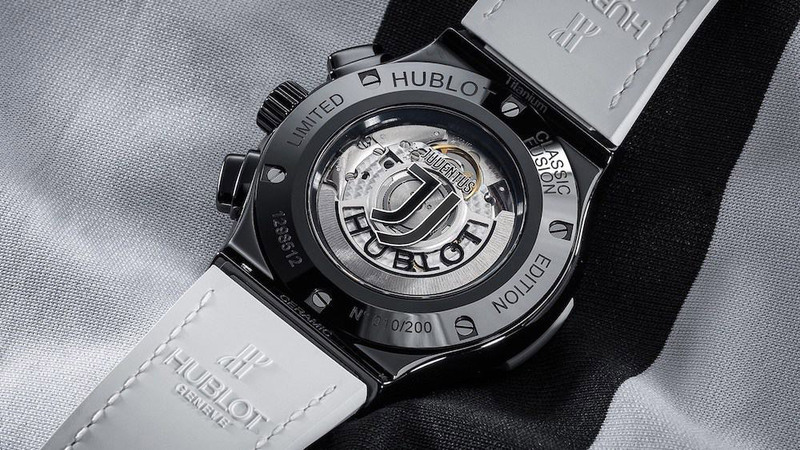 The sweep second hand is also available in yellow, the colour of the shirt the team wears away from home. 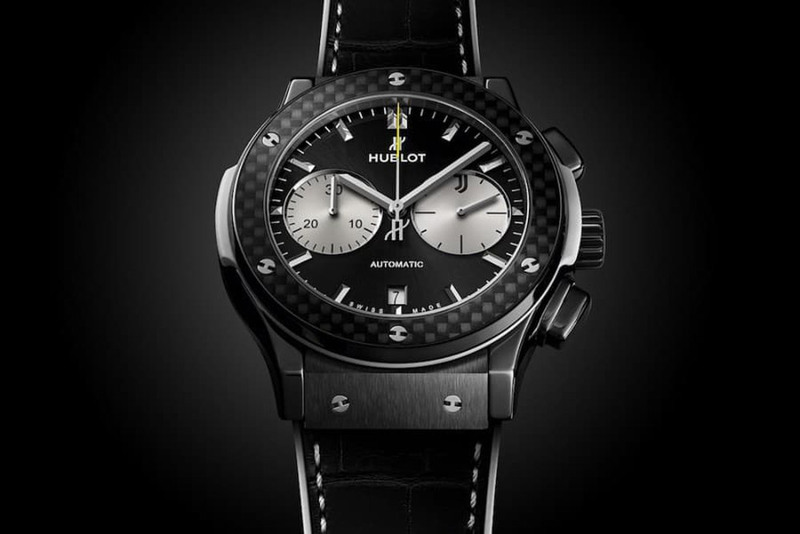 The strap, in black alligator stitched on white rubber, is the perfect accessory to complete the Juventus fan look.